Always offering you the simplest & cost effective ways of displaying your Public Notice ads, at the right time & in the right places. The right information always leads to the right result. India is a secular country which is for the people, by the people & the leaders are dedicated to the service of the people. In a country where the emphasis is so much on the public, the public notice ads is a very important ad in the newspaper. In general terms public notice is some information which makes the public aware about something. 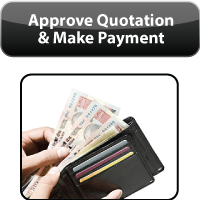 These are usually given by either the company, government or any other entity. These notices can be of various lengths & can include text or images & sometimes even both. 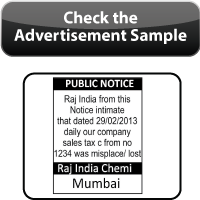 There are various reasons for which you may need to publish public notice ad in newspapers. When you are making a property deal, it involves more than 2 people & it's a tedious task. Also it brings in legal matters & involvement of police, courts, etc. as sometimes there can be disputes while making a property deal as the cost of property is on the rise. So a public notice ad can help making the process more transparent. These days with a lot of uncertainty in life, there is a possibility that there can be a death of our father/mother & they have not had a chance to make a nomination. In cases like these sometimes there can be a fight between brothers or relatives as they could be the legal heir but would not want to share the property. Rather than leading to any issues, it is better to go the Public Notice way so that everyone gets their part. A dispute in the family due to property matters is not surprising due to property rates on rise & sometimes parents may want to make a nomination basis emotional judgement. Also there can be sometimes misunderstandings due to which there could be a dispute. A Public Notice ad in this case makes it fair & transparent to give out the decision. There may-be times when someone would have been around the old people taking care of them, while their sons/daughters could be away earning. In cases like these, someone could take advantage of their emotional support & get the property taken in his name & the help could be for the sole reason of getting the property. In cases like these the legal heirs of the property can make a claim by going legal & publishing a public notice ad which can be presented in the court for the case to be registered. These days especially the business men keep looking for opportunities of expanding their business & look for properties which can be procured cheaply & can make some profit by have a new place of business. 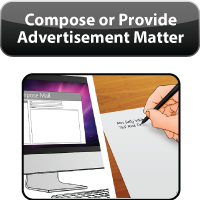 Since word of mouth can take times to spread so a public notice ad works like magic to attract the right bidders. The public notice ads for investigating the title of the property are used in cases where there is an element of doubt in the documentation of the property. There can be times when both the buyer & the seller are not available to claim the property or it may be under dispute. The government in these cases would use the public notice ads to inform the public that the property is under the government hands. It can be then used by the authorities to either auction or use it for other reasons. Sometimes when the documentation is not in place there can be an oral agreement between the purchaser & the seller, but if the place is used illegally then there can be law interventions & a public notice ad can be released to dissolve the agreement. These are only a few reasons, though there could be many more reasons for which you may need a public notice ad.